I found this when turning out old folders and I thought that you may be able to use this old photo of ‘Maudwyn’ Newsagents in Watford. 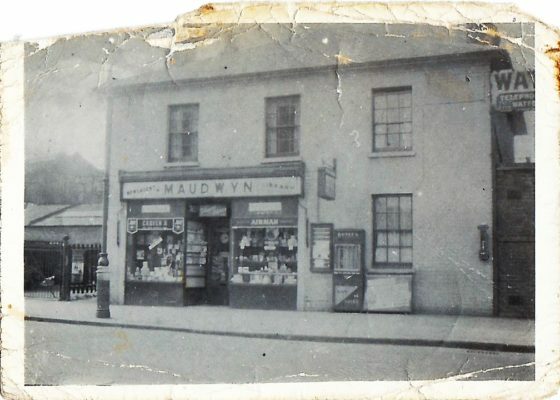 My Grandfather, Frank Elliott, managed this shop and I believe that it was in the High Street. I have found letters sent from my grandparents to my parents showing their home address as 310 High Street Watford and I believe that Mum once told me that they that they lived above the shop, then this is the address. This would be around 1930ish to maybe late 1940’s. I doubt that it is still standing!